Watch Bald Eagles over the Delaware River right from your windows! 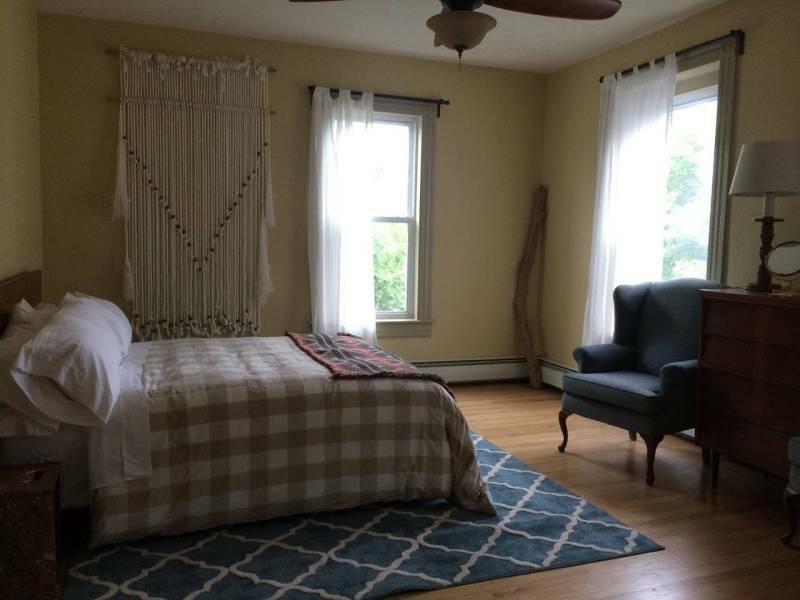 Just 2 hours from NYC, The Apartment Upstairs is conveniently nestled in the middle of Main Street Narrowsburg. Steps away from shopping, dining, and recreational activities. The river flows behind this historic building with endless boating, rafting, and swimming possibilities during summer months… plus, scenic sunsets all year long! Newly updated private two-bedroom apartment, located one flight upstairs from Main Street. Below the apartment is a brand new yoga studio. You may get whiffs of the neighboring restaurant which has been voted best food in the Catskills region (and rightly so! ).